Don’t be intimidated. It’s very nice. 1) MTA Light Rail is cheap. It’s less than four bucks as of this writing round trip to use the streetcar, and parking at most stations outside of the city is free. You won’t likely find decent parking at the ballpark that cheap…and on top of that, driving to the ballpark in that notorious Baltimore congestion can use up a lot of gas. With a helpful photo of the ballpark! 2) MTA Light Rail is convenient. Park for free, hop on the streetcar, and get dropped off right there just a few steps from the gate. You can even use nearby stops to get on or off; the Convention Center and Hamburg stations are still closer than most ballpark parking. 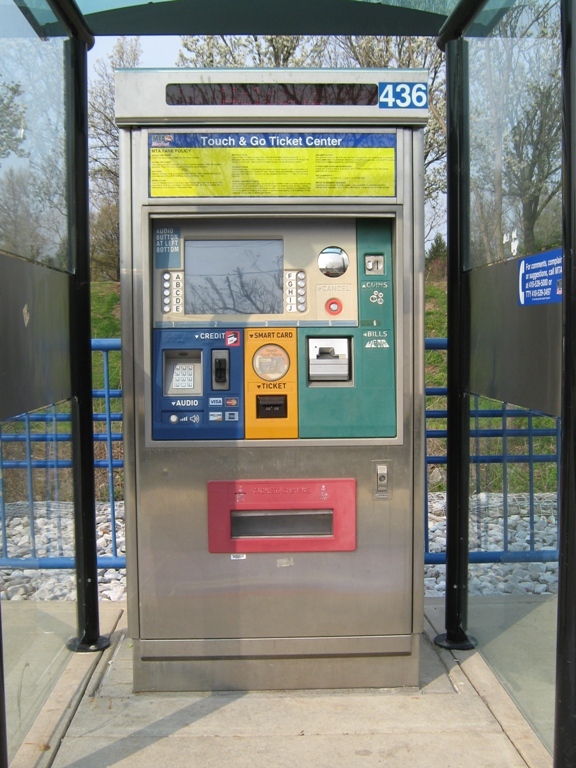 The Light Rail runs frequently enough that you won’t have to wait long before or after the game; for big attendance games you might have a to wait a car or two. Try using the nearby stations in the opposite direction of where you’re headed…your chances of having a seat are better that way. 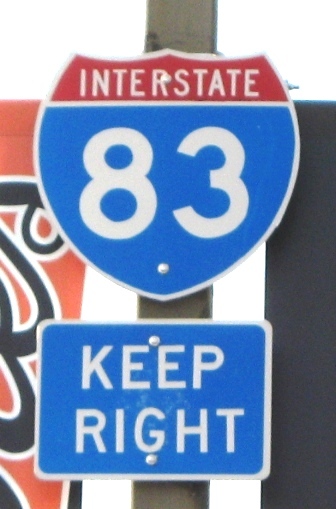 Sure…how slow could an Interstate highway be? 3) MTA Light Rail avoids traffic. Maybe I should have ranked this higher. If you’re driving in from I-83, traffic north of the ballpark in the city is brutal, especially in the evening when the Inner Harbor gets hopping. The streetcar may take some time trudging through the red lights, but at least you know it will get there. Sometimes when you’re sitting in that downtown Charm City gridlock, you’re not sure. 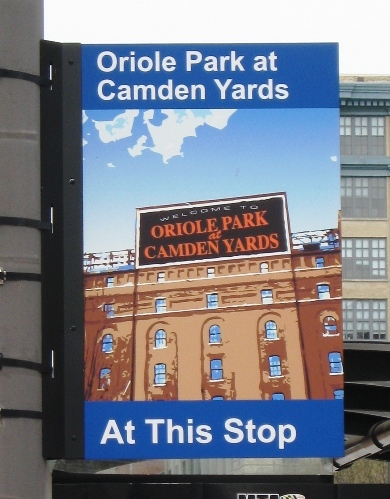 For the best way to get to Camden Yards, you can’t beat the convenience and price of the Light Rail system. But there are lots of other ways, including by boat or bicycle, and you do have some cheap parking options if you do decide to drive your car. Want to know more about Camden Yards? 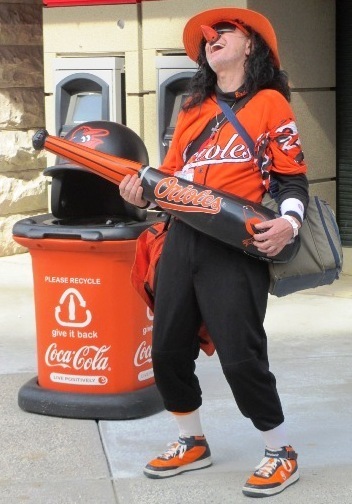 Sign up here for my completely free Oriole Park e-mail newsletter series, and score some seriously valuable info about tickets, seating, transportation and food…see you at the Yard! More Camden Yards Food Options – Crab Stuff! Enjoying the cool Oriole Park tips? Sign up today for the absolutely free Ballpark E-Guides Camden Yards newsletter!